So, you've run a 5K—maybe even a 10K—and now you're ready for something more challenging like a half marathon. Good for you! The half marathon is a great distance. It's long enough to feel challenged, but not so long that training for it completely consumes your life.Below are a few good training tips for your first half marathon. One mistake new runners often make when paring for a half marathon is thinking that the 12- or 14-week plan takes you from the couch to the finish line. All half marathon training plans that range in length from 10, 14 or 16 weeks assume that you've already built a weekly mileage base of at least 15 to 20 miles. Your longest run should also be at least 5 miles. Anything less than this weekly mileage or longest run mileage will overwhelm your body's ability to acclimate. If you have a solid base under your feet, then when you start your training, you'll only be acclimating to the demands of the half marathon training workouts. If you have a weak base coming into the training, then you'll actually be asking your body to build that base while at the same time as acclimating to the new training demands. That's overtraining or an injury just waiting to happen. Twelve weeks is a common length of many half marathon training plans, but a quick Google search will bring up plans that range from 10 to 16 weeks. I prefer to use a longer plan (14 weeks) with my runners. The extra weeks allow for a little wiggle room if a runner gets sick or has slight setback or injury. If this is your first half marathon, I strongly recommend a plan longer than 10 weeks. This will give you more time to acclimate to the training demands. Not only do the plans vary in length, they also vary in content (the types of workouts, weekly mileage and the number of times you run each week). Study the various plans carefully before picking one. First, find one that meshes well with your work and family schedule. If the plan has you running every day and you know that's not going to happen, then that plan is not for you. Second, find a plan that matches your running fitness level. If the first long run in the plan is 8 miles and your current longest run is 4, select a different plan. Often plans are labeled for Beginner, Intermediate and Advanced or Experienced, but even then, read through the plan carefully and make sure it fits your current running fitness level. 3. Think quality over quantity. Running lots of miles each week is one way to prepare for a half marathon, but lots of miles can increase our chance of injury. I have my new half-marathon runners run four times a week. Two of these runs are what I call quality runs and two are base maintenance runs. The quality runs consist of a mid-week tempo run and a weekend long run. The types of tempo runs vary, but basically they begin and end with a 1-mile warm-up/cool-down and the in between miles are run at a pace about 30 seconds slower than 5K pace. The Tempo portion is an uncomfortable pace. This helps your body increase VO2Max (your body's ability to take in and utilize oxygen at the muscle layer to make energy) as well as push out your lactate threshold (that point at which you feel that burning sensation in your legs). Increasing VO2Max and pushing out your lactate threshold helps make you a more efficient runner as well as help fight off fatigue longer. 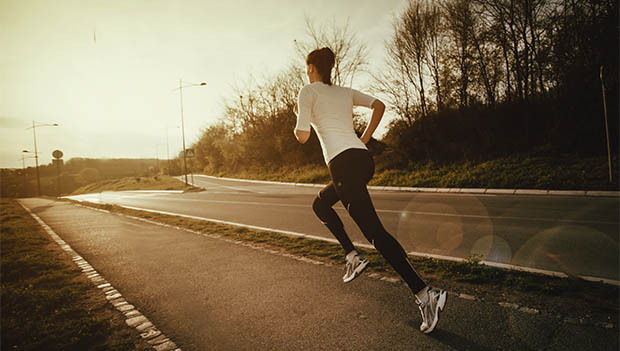 A tempo run can range from 4 to 8 miles, and the types of tempos can vary. Three good tempo workouts include: the traditional tempo (described earlier), race pace tempo and tempo intervals. Race pace tempos are very similar to the traditional tempo, but instead of running 30 seconds slower than your 5K pace, you pull it down a notch to your half marathon race pace. This is a great workout for giving your body a chance to experience what it feels like to run at race pace. Saving your race pace tempos for the longer 6-, 7- or 8-mile tempo runs works well. Tempo intervals begin and end with the 1-mile warm-up/cool-down, but the in between miles are broken into 5-mintue fast/5-minute slow intervals. The fast interval (fartlek) is run about 20 seconds slower than 5K race pace and the slow interval is run at your slow easy long run pace. This teaches your body to learn how to speed up and/or slow down when needed during the race. Here are more specifics on these tempo workouts. The long run is just that...long. This run should be run at a pace that's about one minute slower than race pace. That's hard to do sometimes, but by pulling back, you help your body build endurance without wearing it down. To help curb the urge to run faster as well as teach your body that you can pull out some speed at the end of the race, I have my runners up the last 1 to 2 miles of the long run to race pace or slightly faster. Most half marathon training plans will take the runner up to 12 or 13 miles. There's no need to do a run longer than 13 for a half. The two weekly base maintenance runs are short runs (4 to 5 miles). These are designed to keep the weekly base miles going and to help keep the runner limber between the quality workouts. These runs are also run at a slower pace (45 seconds to one minute slower than race pace).